ATLANTA (AP) — He aggressively deleted inactive voters from registration rolls, enforced an “exact match” policy that could have prevented thousands of Georgians from registering to vote and launched an investigation that disrupted a major voter registration drive. Now Republican Brian Kemp is declaring himself the victor in Georgia’s race for governor, a race so close that even marginal differences in voting and turnout could make the difference in determining whether the race goes to a runoff. 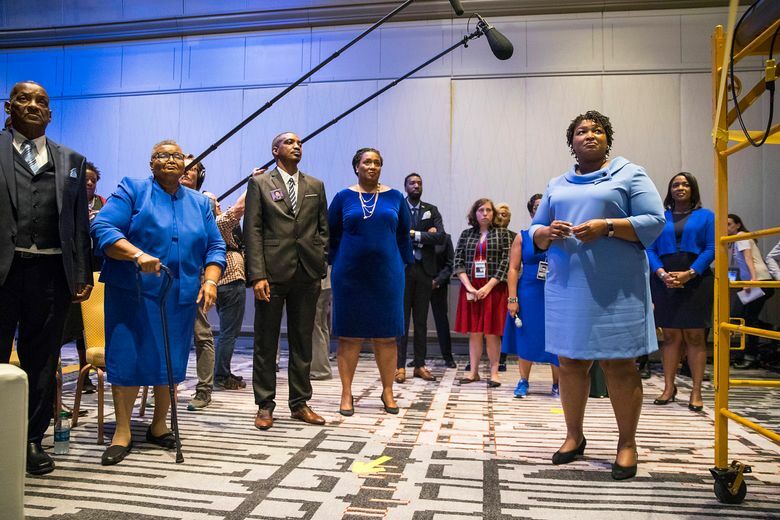 The Associated Press has not called the race between Kemp, who until this week was Georgia’s secretary of state, and Democrat Stacey Abrams, a former state lawmaker seeking to become the nation’s first black woman to be elected governor. In a state dominated by Republicans, Abrams staked her campaign largely on getting new and infrequent voters to participate. Meanwhile, Kemp and the state’s Republican legislature have imposed tighter voting and registration rules that can make it more difficult for just those voters to register and cast ballots. Most of those rules have come since the U.S. Supreme Court overturned a key provision of the Voting Rights Act in 2013. Kemp defends his tenure, noting increased voter registration on his watch. Like other Southern states, Georgia after the Civil War had a history of suppressing black voters by disallowing votes from people who owed taxes, imposing literacy tests and implementing white-only primary elections. Those efforts eventually were stopped by the courts and the federal Voting Rights Act of 1965. But the Supreme Court ruling five years ago rolled back a provision of that act that had required Georgia and eight other states to get federal approval before changing voting laws. That gave those states the freedom to impose new restrictions. The ACLU’s Young said Georgia’s recent voting restrictions have been made in the name of preventing fraud. But she believes they’re also born out of a desire to keep minorities from voting. “It’s hard to see good faith in so many of these measures that advocates repeatedly say have disproportionate impact on African-Americans and other minorities,” she said. Some of those restrictions predate Kemp. In 2005 — five years before he took office — Georgia implemented a law requiring voters to show a photo ID at the polls. The Justice Department approved it, but a court struck it down as an unconstitutional poll tax because it required voters to pay for IDs unless they could prove financial hardship. Lawmakers responded in 2006 by revising the law to make it easier to get IDs for free. 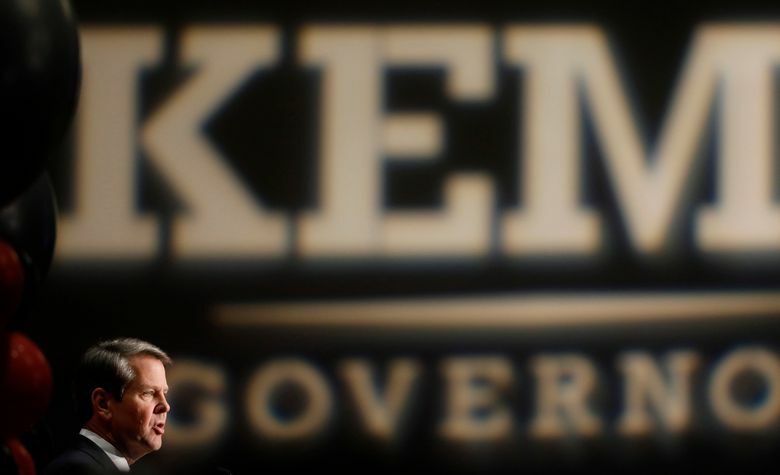 In 2014, Kemp launched an investigation of a voting drive run by a group that Abrams had started. The investigation eventually forwarded to law enforcement just 53 allegedly forged registrations out of a total of 87,000, but critics said the probe disrupted the overall registration drive. The Brennan Center for Justice at NYU, which tracks voting issues nationally, said Georgia was among the most aggressive states in the country in removing inactive voters from its registration rolls between 2012 through this year. The stated purpose is to clear lists of voters those who have moved or died, but the purges also can mistakenly remove legitimate voters. Data provided by the Georgia Secretary of State’s office show the state removed more than 937,000 voters from the rolls from the start of 2015 through Aug. 1 of this year. Kemp also used an “exact match” policy for voter registrations. To sign up, voters’ names and other information had to match precisely how they appeared on other government databases. Kemp agreed to end the practice amid litigation last year. But within months, legislators put the policy into law. As Election Day approached this year, it resulted in 53,000 voters — most of them minorities — with their registrations on hold. Civil rights groups sued while Kemp insisted those on the list could vote if they brought to the polls a photo ID substantially matching the information on file. Voters who failed to do so were to cast provisional ballots. 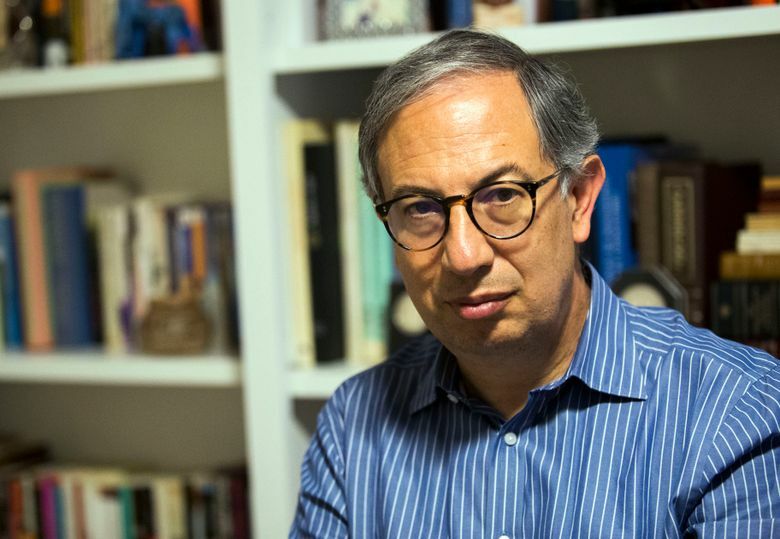 Dr. Carlos del Rio, chairman of global health at Emory University, said a poll worker at his precinct in the Atlanta suburb of Decatur initially told him he was not registered. The issue: His voter registration has a space between “del” and “Rio” in his last name, but his driver’s license does not. He had to explain to the poll worker that the state Department of Driver Services does not allow for spaces in a name, and he was then allowed to vote. “It did require a little of me knowing how to defend my rights,” del Rio said. Bryan Sells, a former U.S. Justice Department lawyer who now specializes in voting rights, has sued Kemp over the exact match policy and other issues. He said Kemp and Georgia Republicans have been targeted in the rules they have chosen to implement in recent years. Many voters in and around Atlanta, especially in predominantly black neighborhoods, were incensed by excessively long lines on Election Day, some with waits up to three hours. Some would-be voters couldn’t last and left without casting a ballot. Suspicion in some places fell on the number of polling places that have closed over the years. An investigation earlier this year by the Atlanta Journal-Constitution found that Georgia election officials have closed 213 polling places — or about 1 in 12 statewide — since 2012, a year before the Supreme Court allowed officials in the state to change polling places without federal approval. The newspaper revealed that Kemp had sent a memo to local election officials laying out reasons for such actions, including cutting costs and responding to lower numbers of voters. A Kemp spokeswoman said the move was not political. Kemp also has noted that voter registration increased by 1 million people during his nearly eight years as secretary of state. He said his efforts, including the introduction of online registration, are among the reasons for that. He told reporters during a campaign stop in Savannah a day before the election that record turnout during the early voting period showed that his office has not been engaged in voter suppression. Tom Mahoney, chairman of the Chatham County Board of Elections, also said it was not fair to blame Kemp for the problems with Tuesday’s vote. He said he waited 90 minutes to cast his ballot in Savannah. Not having enough voting machines and staff to handle the surge of voters resulted from a lack of foresight by local officials like him, not Kemp, Mahoney said. AP reporter Geoff Mulvihill in Cherry Hill, New Jersey contributed to this report.